A study holiday at the Scuola Leonardo da Vinci in Siena gives you the chance to visit Tuscany and learn Italian at the same time. The town of Siena is the ideal place for those who want to travel around and get to know Tuscany. Located just 60 km/37 miles from Florence, Siena is surrounded by countryside and the Chianti hills, famous for both its wine and its landscape. Siena is an area of extreme beauty, boasting natural wonders, such as the Val d'Orcia and the Crete Senesi. Siena is also very convenient for its closeness to the thermal spa centres at Petriolo, Saturnia and Castiglione d'Orcia. 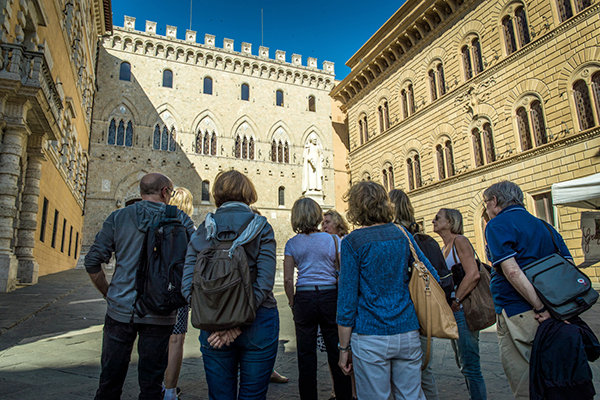 The Scuola Leonardo in Siena organizes guided tours of the town, characteristic dinners to discover the excellent local cuisine, oil and wine tastings, as well as seminars and courses on Tuscan gastronomy. spiritual and historical centres such as Assisi, Monte Oliveto Maggiore, San Galgano and Sant'Antimo. 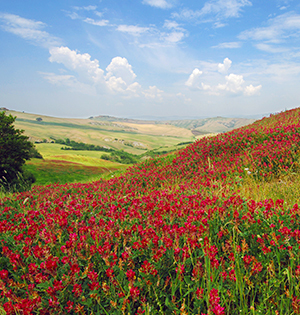 Choose our Italian courses in Tuscany, to learn the Italian language and understand its culture: you will discover Italian culture and traditions, taste the most characteristic dishes of Tuscan cuisine and the finest wines and you can visit the most beautiful places in Tuscany in your free time in-between courses. For more information: contact us or fill in our information request form.